At Cultivate, we're more than the diamond. We wanted to take a quick moment to introduce our icons, so you could familiarize yourself with them and their meanings. Keep a look out for them on our website, newsletters, blogs, and more! 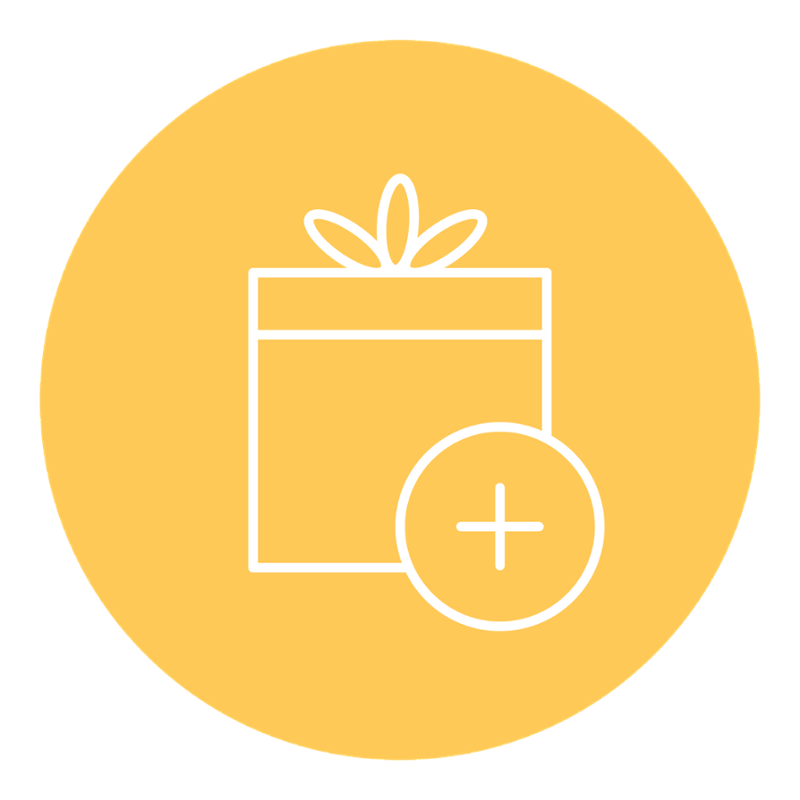 We talk about choice pretty often, and that's because it's the simplest, most effective way to ensure your gift program's success. Providing the right amount of choice allows every guest to select a gift they love. Gifts with high aspirational appeal are gifts that may not be what an individual needs, but rather aspires to own. Gifts that are great products from brands that people would rarely splurge on for themselves. And lastly, brands that are unlikely to go on sale, so receiving them as a gift is sure to be inspiring. Some categories we've found to have high aspirational appeal are handbags, luggage, and apparel! How often is your client going to use the item you've gifted them? The more use the gifts receives, the more guests continue to feel appreciated and inspired after your event. With continued use, the on-site gift experience and the people involved become more memorable. You'll see this mostly when we're talking about the brands we work with. It simply means that that particular brand has a giveback program. It's important for us to partner with brands who share our passion of giving back, and while each is unique in the stories they tell and the missions they work towards, everyone is undoubtedly important. Our Popular Pairings icon stands for products that can be added on to an already existing gift program to elevate your guests' experience. Some of our pairings include Corkcicle, Wander Wet Bags and Slowtide towels!